School is back in session. Join Global Missions Prayer Force, Founder Minetta Hare; The Children of Hope Partnership Campaign, Visionary Apostle Hare; Messiah Baptist Church and others as we pray for our children, schools, teachers and the educational system. The few prayer pointers for parents provide effective ways to pray for your children. Global Mission Prayer Force and the Children of Hope Partnership Campaign kick off their Back to School Prayer Campaign on September 1, 2017. Please provide your child’s name, age and school so we can corporately and individually pray for them. 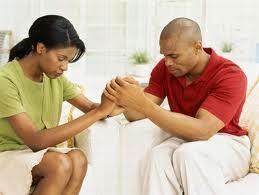 Prayer is the most powerful parenting tool for mother and fathers. Here are a few creative ways for parents -you to pray for children. 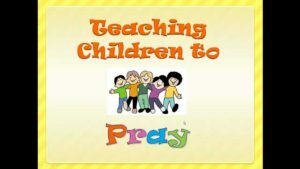 Use these tools as you pray for your children without ceasing. 1 Thess 5:17. However, remember every parent should take the time to sit before the Lord to pray for their children. 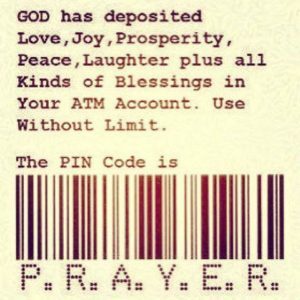 Drive –through prayer. We have drive through banks, restaurants, and pharmacies. Why not drive through prayer? When you drive through your neighborhood, past schools and friends’ homes, you can pray for kids and their families. Intentionally drive past your children’s schools and pray for the school. One mother said she drove intentionally past her children’s junior high school. The time spent praying was less than a minute but several times a week over 2 years amounted to a lot of prayers. Get out and stand in front of the school and pray there on the grounds. Write it down. Like grocery shopping without a list, you have a hard time remembering what to pray about without writing it down. Keep a small notebook in your purse and a larger one in your home to remind yourself of how you can specifically pray for your family needs. Yes, write specific concerns to pray for children. Double the effort. Join with another parent or a group of friends. “I’ll pray for your kids if you’ll pray for mine” motivates. Agree to pray for a particular length of time, such as a school year or sports season. Knowing that your friend is counting on you should motivate you. 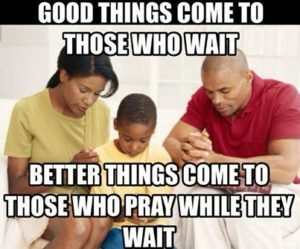 Double the effort by parents joining to pray in a prayer of agreement for 5 minutes twice a week. You agree what you are praying about for your children and call on the phone or on a conference call line. You can also meet for coffee to pray for your children at the same time and place. Pray by the book. “Pray as you read” is another great method. One mother shared that when she read about Daniel facing the lions, she seeks God for the kind of courageous faith for her children. Queen Esther’s confidence in God’s faithfulness becomes a prayer request for your daughter. Paul’s boldness is something one mother prays for her sons. In addition, browse the Psalms for specific prayers: “Your word is a lamp to (child’s name)’s feet and a light for his/her path” (Psalm 119:105) or “Teach (child’s name) O’ Lord, to follow your decrees: then (he or she) will keep them to the end”. (Psalm 119:33). In the moment. Sometimes as you working doing your daily rounds: walking the dog, driving to work and preparing dinner pray. Review all the activities posted on the refrigerator door gives you the place to start. I think this is what the Apostle Paul meant when he encouraged us to “pray continually”. ( 1Thess 4:17). Empowering ideas for praying for your children by Letitia Suk, Evanston, Illinois. The summertime is a great opportunity for you to teach your children to pray in a more active way by going outside on family prayer walks through your neighborhood. Here are a few tips to guide your children. 1. Be clear about the goal. This is the time to teach your children how to pray in an engaging way. Secondary benefits such as family conversation can result. The goal of prayer walking is to teach your child to pray. 2. Have a realistic expectation of your children taking into account their age, attention span and willingness to pray out loud. As you prayer walk together allow the wonders of God’s creation to lead you to praise and thank Him. a. Ask your children, “What sounds do you hear? If they hear birds singing, praise God for the beauty of birds and their ability to sing. b. If your child notices a pretty flower say, “Let’s thank God for making flowers”. Pay attention to the people you see and offer simple prayers for neighbors as you walk past their homes. a. Jointly ask God to bring your child’s friend to know Jesus. b. Invite your children to pray specifically and by name:”Please heal Mrs. Brown from cancer”. c.Ask the Holy Spirit to show your family how to pray for a neighborhood-then pray in faith! When you prayer walk together, your children will learn to pray by hearing you pray. Keep it fun and praise God for any growth you witness. You know how when you first hear a song you jump to a conclusion and say “I don’t like that song?” Well, undignified praise was not for me, until . . . I was intrigued as I read the story of King David “dancing in the street.” In 2 Samuel, we have a king, “dancing in the street” and not caring or worrying about what others thought. The King had overseen the return of the Ark, and as it returned he couldn’t contain his joy. I’m sure joy bells were ringing in his soul. The joy in his heart and soul made him “dance with all his might,” leaping and dancing. I’m sure if they would have had break dancing back in the day, he would have been spinning around on the ground. It had to be a sight to see because as his wife, Michal, King Saul’s daughter, watched from her window, she didn’t care for her husband’s, the king, behavior. She was so disgusted, she despised him in her heart. After celebrating with Israel and returning home to rejoice with Michal, she met him at the door with a rolling-head attitude, and sarcastically mocked him: “How glorious the King of Israel looked today! He exposed himself to the girls along the street like a common pervert” (2 Samuel 6:20). King David didn’t let that steal his joy. He responded by saying, “It was before the LORD, who chose me, who appointed me ruler over the LORD’S people, Israel – I will celebrate before the Lord – I will become even more undignified than this” (2 Samuel 6: 21,22a). The definition of undignified is “appearing foolish, lacking in dignity, demeaning, unworthy and unbefitting. David, the man after God’s own heart, was so in tune with God’s heart that he was unconcerned with the thoughts of the one who should have known his love for his God. He did not mind looking “undignified” for the Lord. His focus was on glorifying the true and living God and proclaiming, “Blessed be the name of the LORD from this time forth and for evermore. From the rising of the sun unto the going down of the same, the LORD’S name is to be praised. The LORD is high above all nations, and His glory above the heavens” (Psalms 113: 2-4). His anointed words are prayers for my life – “becoming more undignified” in my celebration for the goodness and greatness of the LORD. I pray that I completely release my fears and worship with great joy and expectation, inside and outside of the walls of the sanctuary. Oh to have the courage of David, to be willing to look foolish in the eyes of people in order to worship God truly and honestly. Gracious LORD God, You are worthy of all worship and adoration. The times I need to worship You with all my might isn’t just in the good times, but also more when I’m facing something completely out of my control. I’m understanding even more now it’s when l speak or sing of God’s wonderful power and majesty that You bring wisdom and peace. Forgive me for letting others’ opinions influence how I worship and praise You. Holy Spirit, please help me to focus more on your majesty and less on myself. I Love You, Lord! In Jesus Name, Amen. Carol Turnbough aka “Song of Joy” – Song of Joy teaches and ministers to children and youth. She loves to praise God with her whole heart. 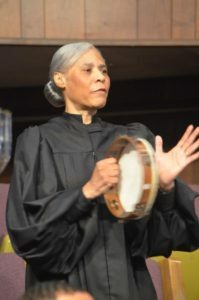 She writes songs and skits to the glory of God and serves on the Music Ministry of Messiah Baptist Church in Detroit, MI. She also serves on the Christian Education Administrative Team and teaches Sunday School. 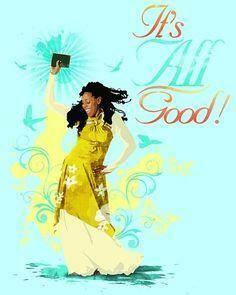 Thank God for Marvelous Manifestation Monday!No matter what you are going through, God is working in your favor. (See James 1:1-8; Rom. 8:28). Trust Him. Hold fast to the Word. Monday is a time for new opportunities, a new start, a new chance, a day that gets you to the day of your choice. God will supply what you need this week. Believe it. 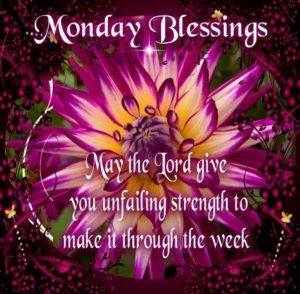 Look forward to Monday’s with great expectation. Have hope. Believe in God’s Word and Do It. Pray without ceasing 1 Thess 5:17. “If you believe, you will receive whatever you ask for in prayer.” Matthew 21:22 NIV God came to give you life more abundantly. John 10:10. Take hold of your benefits by using the right pin code. Remember to pray the Word . Use the Word without limit. Tags: Marvelous Manifestation Monday, P.R.A.Y.E.R.